July 4th DUI crackdown in CO will start tomorrow & last through Tues. 7/5. Tomorrow, law enforcement authorities across the state of Colorado will be banning together to kick off the July 4th DUI crackdown. As part of the ongoing The Heat Is On DUI campaign in Colorado, the July 4th DUI crackdown will reportedly involve saturation patrols, as well as checkpoints, for the next five days. In light of these plans, authorities are now reminding drivers to start planning ahead for a sober driver if they will be celebrating with alcohol and/or marijuana over the holiday weekend. Many of our troopers will be sacrificing their holiday weekend to keep our residents and visitors safe, and will be on the lookout for impaired drivers. We have zero tolerance for impaired driving and hope everyone makes good decisions. It’s very simple – don’t get behind the wheel if you’re impaired. Will 2016 See a Continuing Decline in July 4th DUI Arrests in CO? As police and troopers across Colorado gear up for the kickoff of the 2016 DUI crackdown in Colorado tomorrow, some are wondering whether this year will continue the four-year decline in DUI arrests over this period. 2012 – 632 DUI arrests. Participated in the crackdown – While more than 110 agencies supported the July 4th DUI crackdown in 2012, less than 100 participated in last year’s effort. Reported their arrest numbers to state officials – This reporting is not compulsory, so it’s possible that fewer agencies reported their arrest numbers to state officials, which could also make it seem like arrest rates are falling across the state. You still have time to make plans now – before you start celebrating the holiday – to avoid a DUI arrest. 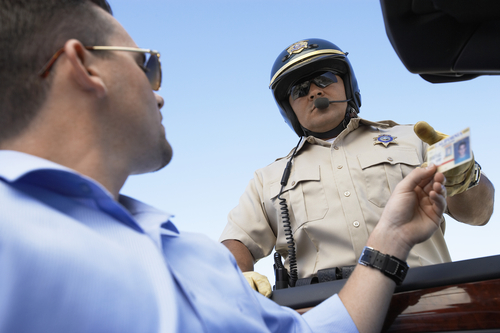 If you are arrested for a DUI over this weekend (or at any point in the future), the smartest move you can make to protect yourself moving forward is to contact a Denver DUI lawyer at the Griffin Law Firm. If you or a loved one has been charged with a DUI, you can turn to the Denver DUI lawyer at Griffin Law Firm for experienced help and the strongest possible defense. With nearly 20 years of experience in the criminal justice system, our attorney understands the complexities of the system, the challenges different defendants can face and the best ways of overcoming these challenges to bring criminal cases to successful resolutions.